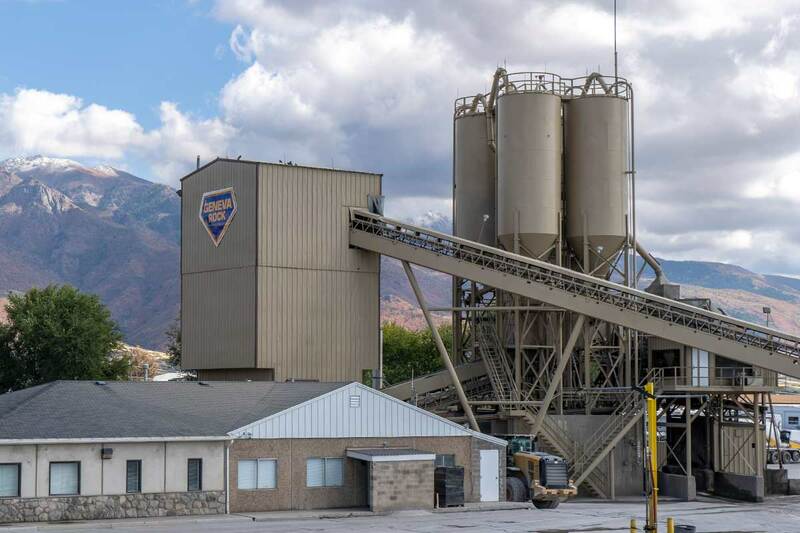 With 15 locations and over 265 front discharge concrete mixer trucks, Geneva Rock is the largest supplier of ready-mix concrete in Utah. From aggregates and landscape rock materials to asphalt and concrete, we are dedicated to successfully finding the right solution for every job. 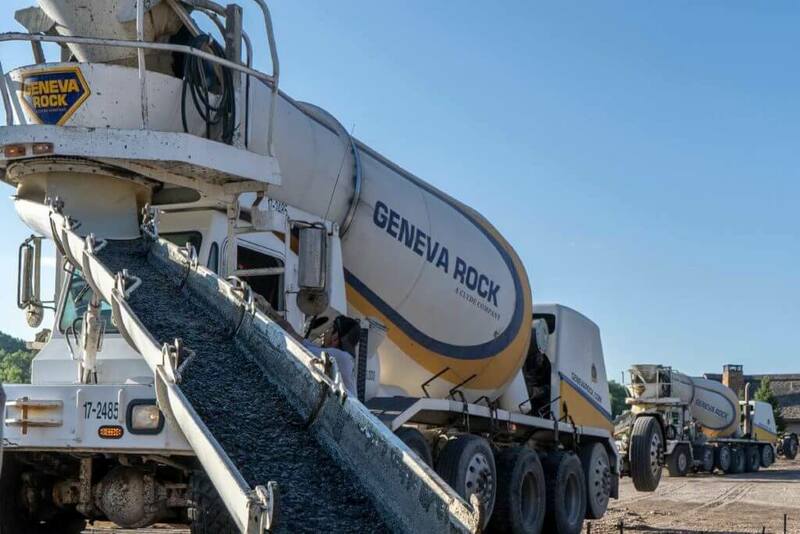 At Geneva Rock, we use quality cement, aggregates, and admixtures to supply the highest quality concrete in our market. Concrete is one of the most versatile and commonly used man-made materials on earth. 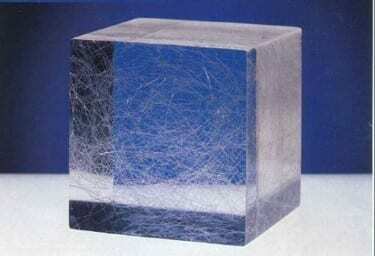 Geneva Rock is proud to be a producer and supplier of this amazing product. We are committed to consistently providing quality materials in the correct proportions, properly mixed, and delivered in a timely manner. 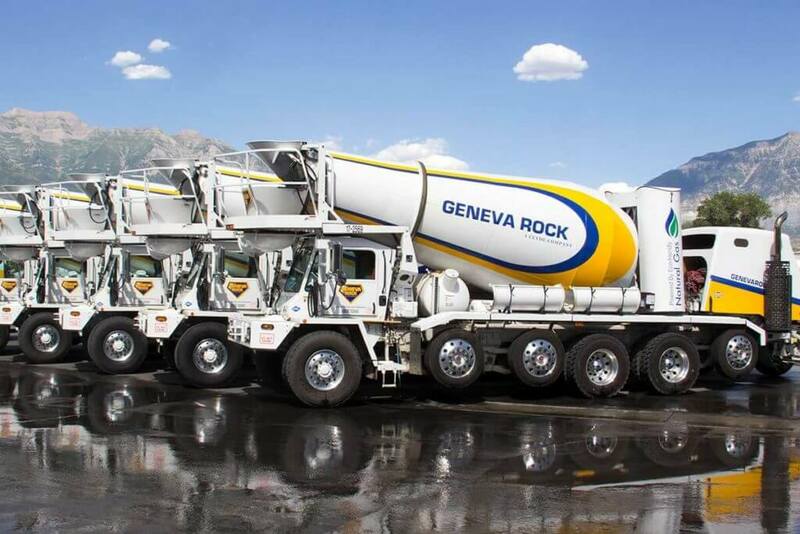 Geneva Rock has batch plants strategically located and serviced by fleets of well-maintained trucks and expert drivers. We provide concrete for manufacturing, residential homes, airports, parking structures, wastewater treatment facilities, apartment buildings, warehouses, military bases, bridges, highways, canals, universities, and more. Whether your project is big or small, Geneva Rock is ready to take on jobs of any size. We have built a strong reputation for quality products and services, delivered on time and on budget. Just think what we can do for you. We design our concrete with two core values in mind, “Quality Products and Service at the Best Value” and to “Always Give a Full Measure.” We consistently test our products to verify that they will meet the specified strength and yield for the intended use. The delivery ticket for each load includes a printout of state certified scale weights that show exactly what is in each yard of concrete. If you order a 6 bag mix, you get a full measure. To meet your needs, our Quality Control Engineers are available to design the concrete product that will meet the most stringent specifications. Our experienced personnel can accurately batch and mix the product with our automated and computerized batching systems. 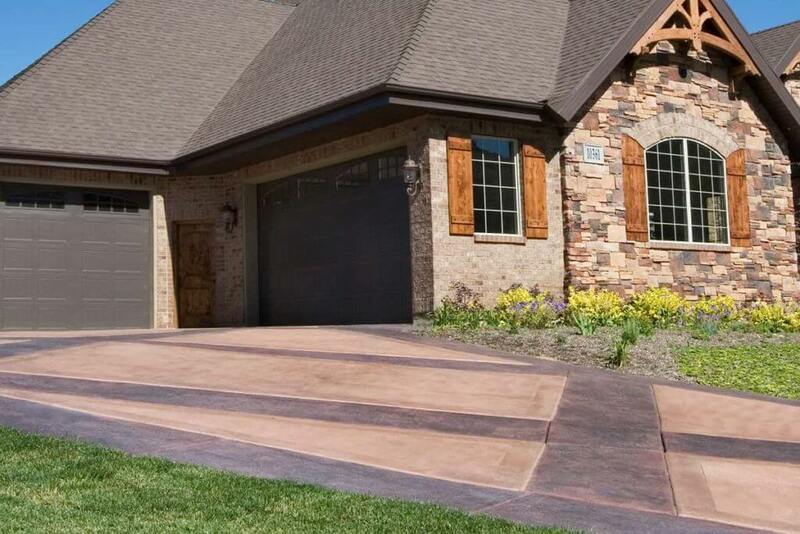 There is more to life than gray with ColorStone, the precision concrete coloring system. Choose from 64 standard colors or let our technicians create the exact color to suit your needs. 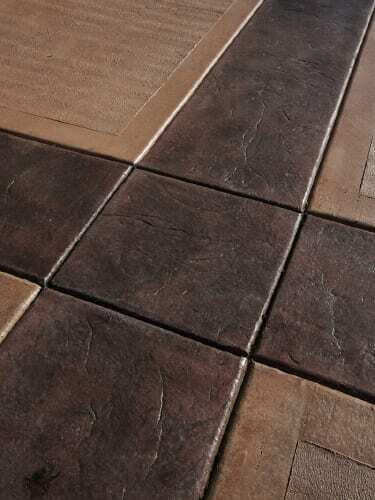 ColorStone concrete can be trowel finished, broomed or stamped to create the color and texture you desire. A color chart is available to assist you in your color selection by visiting solomoncolors.com, or your Geneva Rock representative can assist you and provide a price quote for the color of your choice. No messy bags of concrete color. No job time loss due to mixing of color. No chance of finding paper from “dissolvable” bags in your concrete. No time lost to pick up color or release. No need for inventory of dry color. No waste of partial or broken bags that may become old or damaged. Reduced risk of injury from handling bags or climbing on trucks. Increased ability to match existing colors. Compatible with all mix designs and admixtures. Note: G-Fibers will not control cracking as a result of external stress, permit decreased slab thickness, increase joint spacing, or replace any moment or structural steel reinforcement. Geneva Rock introduces a revolutionary product that allows you the amount of time you’ll need to make sure that each job turns out perfect. Introducing Time Plus- an additive that allows you, the contractor, to decide how much time you’ll need to finish any of your concrete placement projects. Time Plus works by stabilizing and controlling the cement hydration and proves to be beneficial in controlling rapid setting concrete. 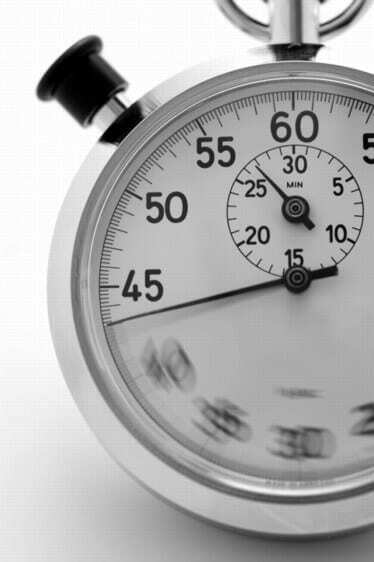 Time Plus can be added to freshly batched concrete to extend the time of the initial set by 1, 2, 3 hours or more with no adverse effects on strength, durability, or finishing characteristics. If you want time on your side, ask your Geneva Rock representative for Time Plus and just specify how much time you need. It’s that easy.